The X-Men do not kill. But when Apocalypse - the mutant despot who has countless times brought humanity to the brink of destruction - returns, Wolverine knows there's only one solution: the recently reconstituted X-Force! 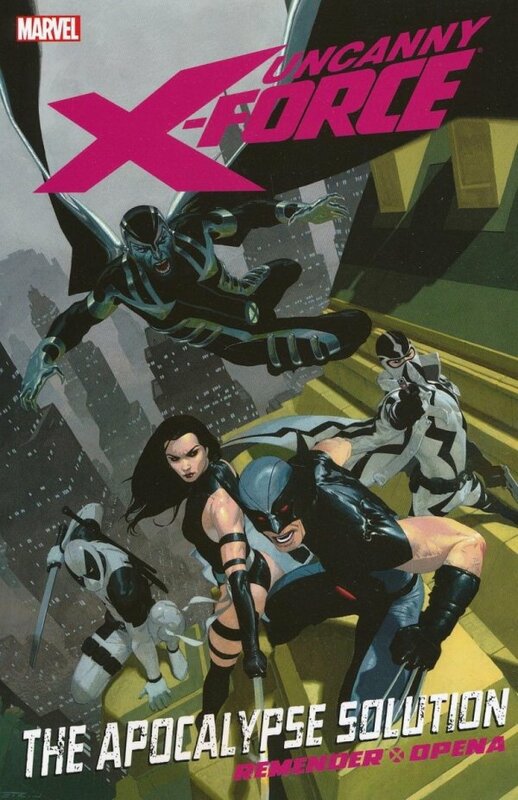 The new team - consisting of Deadpool, Archangel, Psylocke and Fantomex - must destroy En Sabah Nur. But can Wolverine's secret team survive Apocalypse's deadly Final Horsemen? And even if they do, can they kill the reborn Apocalypse when the greatest threat the world has ever faced is now no more than an innocent child? Collecting UNCANNY X-FORCE #1-4, and material from WOLVERINE: ROAD TO HELL and ALL-NEW WOLVERINE SAGA.